Is it just us, or are teeth having a moment? All those well-thought-out selfies (“Teeth in or out?” is a question we ask on repeat) has led to us scrutinising our smile more. In fact, recent research by WhiteGlo found that 75% of people are unhappy with the colour of their teeth, and almost half have used illegal products to try to remove stains. It’s why the promise of a whiter smile from a stick-on strip is incredibly appealing. SO WHAT IS THE MAGIC INGREDIENT? The only clinically proven ingredient to whiten teeth is hydrogen peroxide, and the maximum percentage an over-the-counter product can contain is 6%. However, according to Mervyn Druian, DDS, co-founder of The London Centre for Cosmetic Dentistry, the new batch of boosters are beginning to add ingredients that care for your teeth and mouth too. “Potassium nitrate prevents tooth sensitivity, fluoride remineralises teeth and xylitol inhibits the growth of bacteria, which prevents acid attacks,” he notes. They’re easy to use, but they’re not instant: You need to leave them on for up to an hour—no longer—and they take a fortnight for best results. “An hour gives enough time for the formula to penetrate the tooth and dissolve any stains,” continues Creaven. 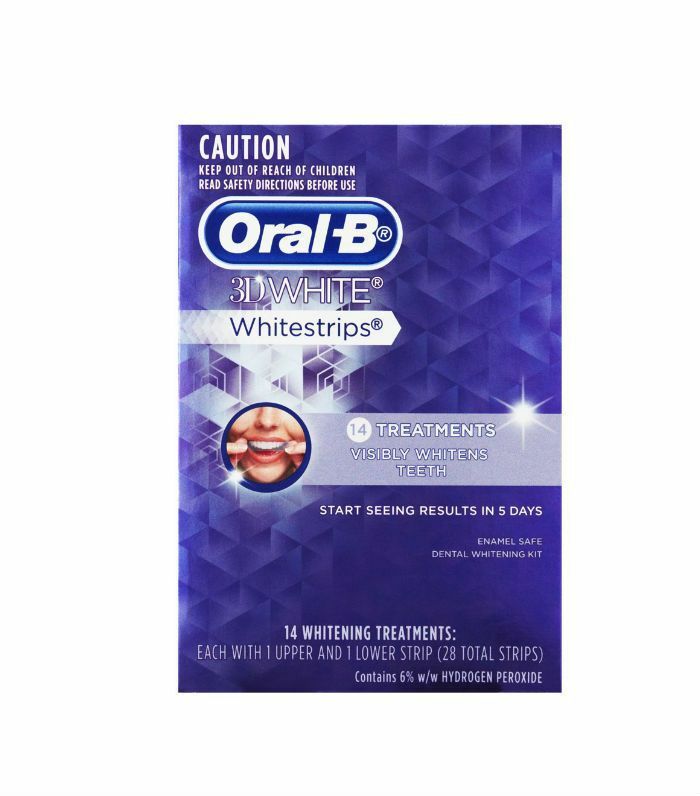 “You need to use them consistently for optimal results, though.” So don’t blame us if you give up after five days and haven’t got the sparkly whites you want. While slapping them on before bed is tempting, do it on the sofa instead. If you fall asleep wearing them, you risk sensitivity. You could even pop them on in the office—some are so paper-thin that we bet your colleagues wouldn’t notice. 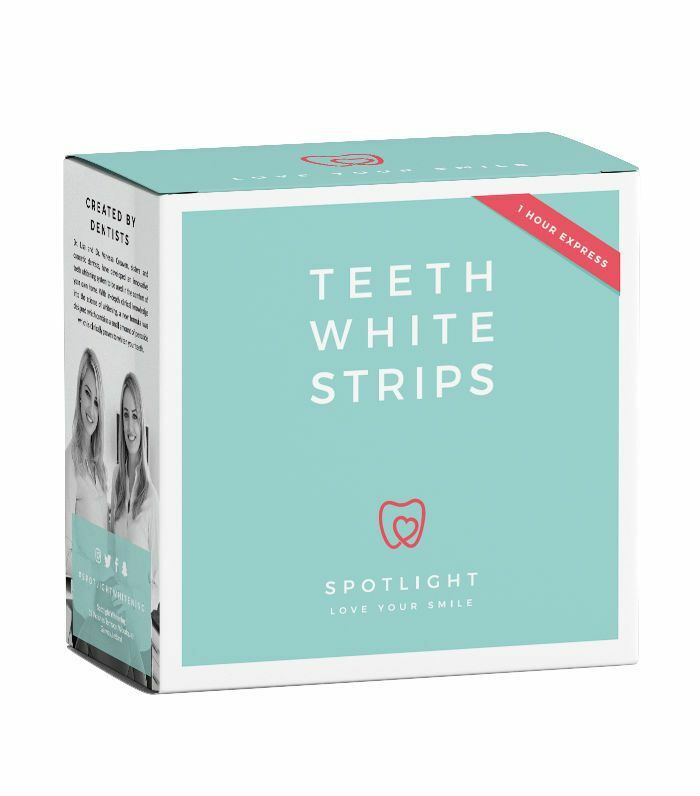 Want to know which teeth-whitening strips come with the dentist stamp of approval? Scroll down to find out. This two-week pack makes it easy—these contain the optimum levels of hydrogen peroxide and promise results for up to six months. 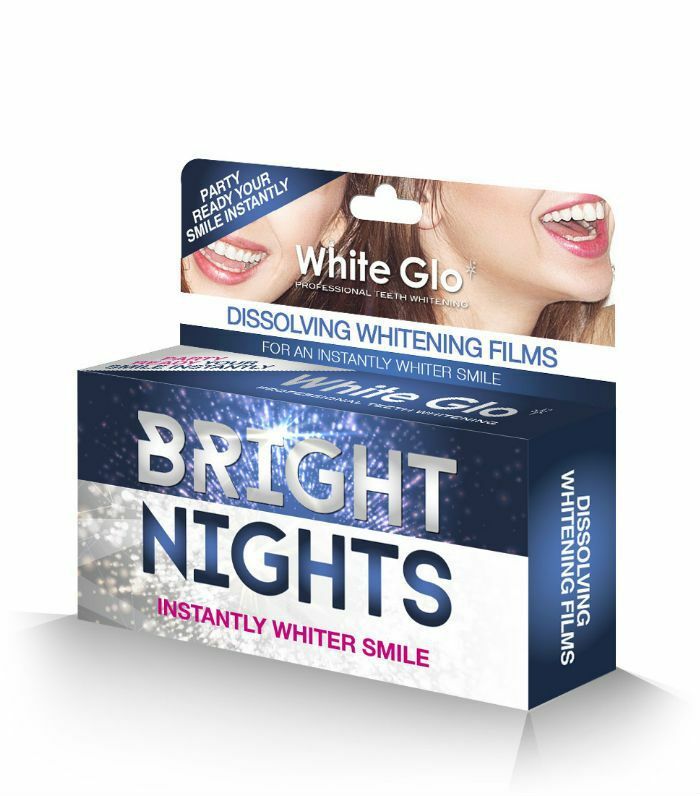 Produced by sibling dentists for their patients, they were so popular that Spotlight has rolled them out so we can all benefit from the whitening boost. 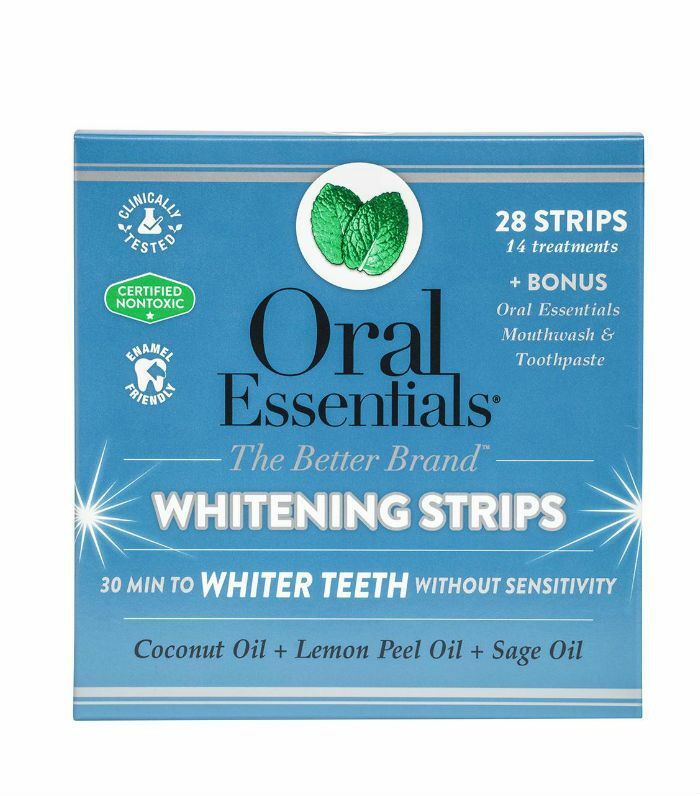 These dissolving strips promise immediate results and contain a hearty 5% hydrogen peroxide to lift and remove stains. They say “night” on the box, but because they’re dry, they don’t slip about, meaning you could pop them in on your commute. Plus they dissolve, so you don’t have to fish them out with your fingers. You get 28 strips in this pack, so don’t use them all at once. 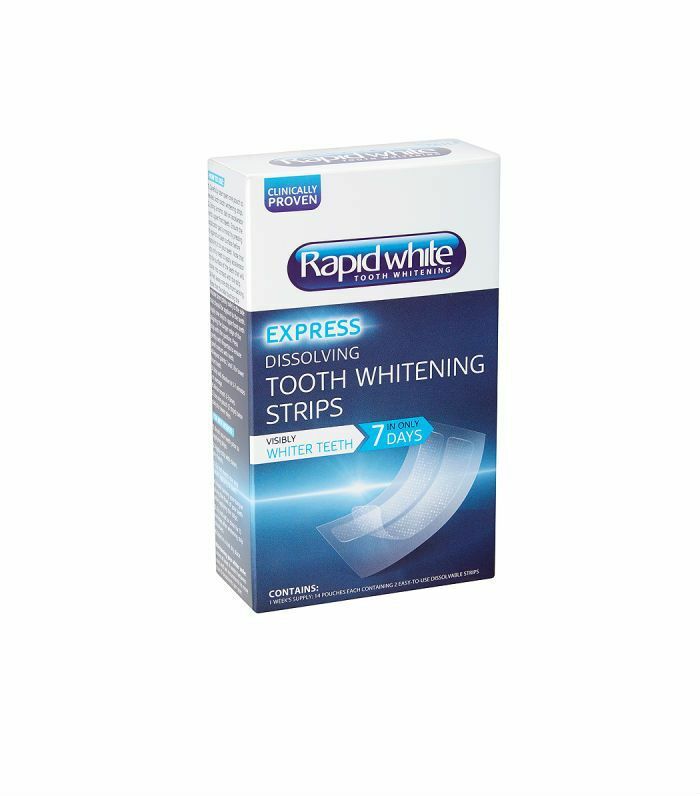 You shouldn’t need to either, as 80% of the whitening action takes place in the first three days. The formula contains sodium chlorite that activates on contact with the whitening gel and oxidises—this that helps return your teeth to a milky white pallor. Recommended by Druian for his patients especially when they want a fast-working solution for removing stains pre-party or -wedding, these can only be bought at dentists. The enamel-safe ingredients are all pro-approved. If you prefer the more natural route, this brand subs out chemicals for a patent-pending combo of Dead Sea salt, essential oils including coconut and sage, aloe vera and xylitol to whiten. Formulated by dentists and trialled against the market leaders, it was found by some testers to offer results after 30 minutes. Want to find out if you should switch to a fluoride-free toothpaste? Two dentists bash it out.